The magician who delivered us great weather yesterday repeated his or her magic today. 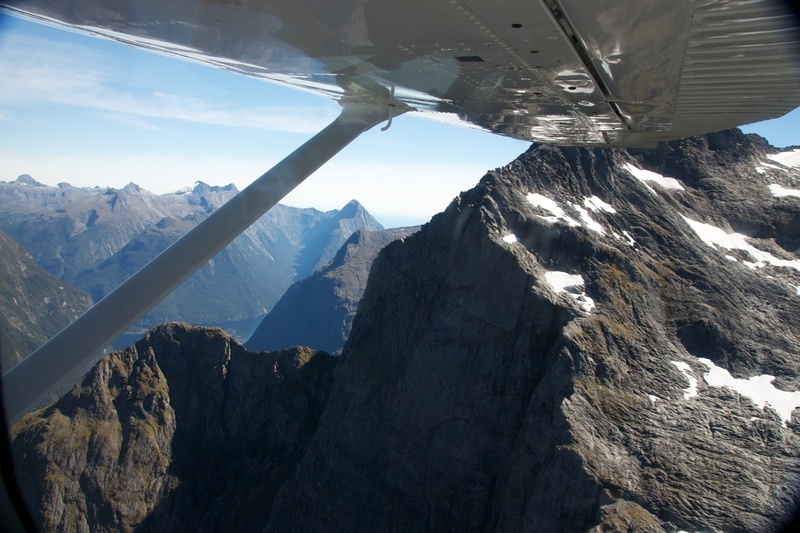 We were blessed with glorious weather for what turned out to be a fabulous journey in a small six-seater plane over and round the mountains to Milford Sound. 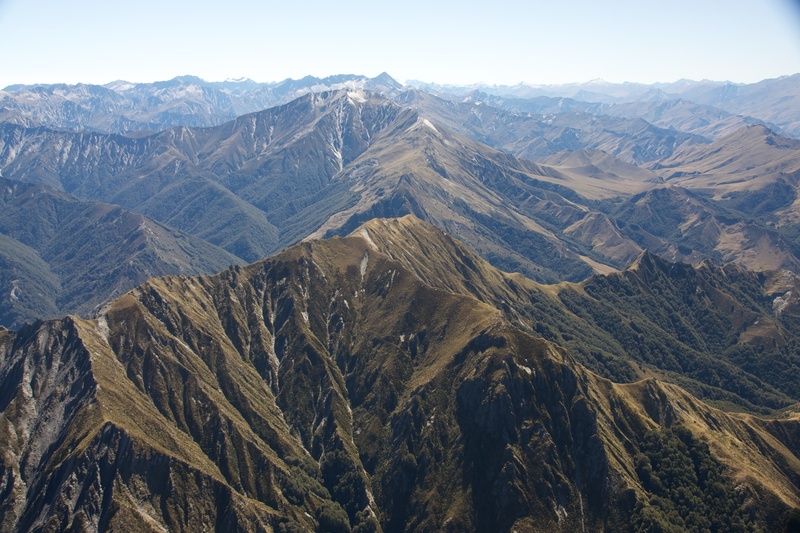 The most difficult thing to comprehend on the flight was the sheer scale of the scenery. 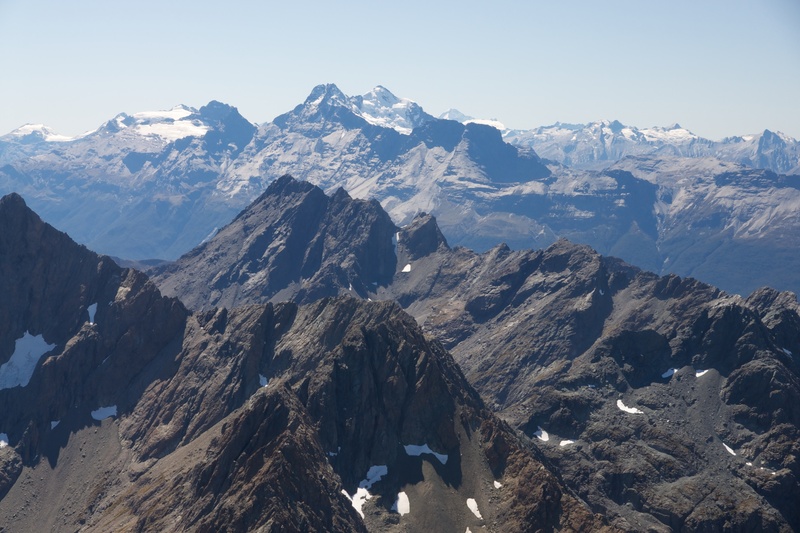 We flew at 6,500 feet and were below the height of the taller peaks we passed. We seemed to fly almost up to the mountain sides, only to find we were a kilometre away. It was one of the most breathtaking journeys of our lives. I hope you can get some sense of the sheer wonder of the views from these photographs. 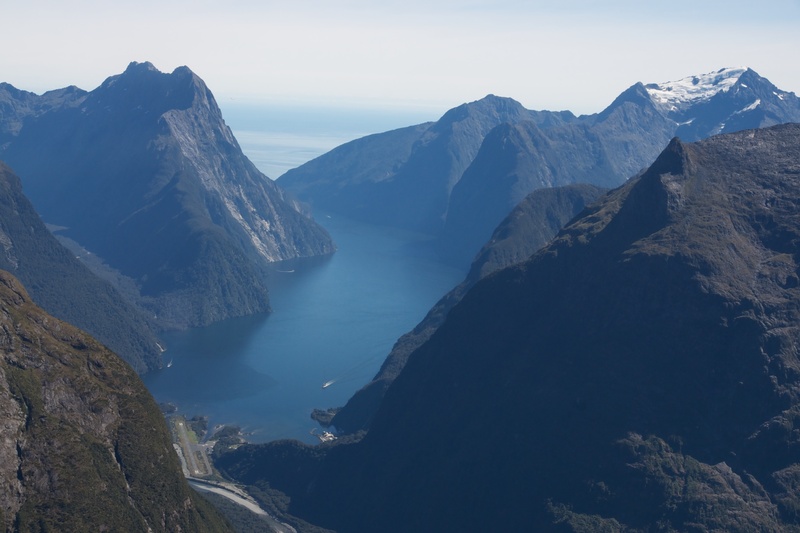 Posted in New Zealand, Photography, Travel Photography and tagged flying, Milford Sound, Mount Aspiring, New Zealand, photography. Bookmark the permalink.